It’s no surprise that Asheville has plenty of quirky bookstores still thriving thanks to the city’s commitment to locally owned businesses and its artistic flair. Indeed, Asheville has a long literary history that connects the city to Thomas Wolfe, F. Scott Fitzgerald, and Cold Mountain author Charles Frazier. Here are the best bookstores to get lost in a book when in Asheville. Battery Park has become an institution in Asheville, making many must-visit lists for its comfortable elegance. The space doubles as a champagne, wine, and coffee bar where book lovers can escape into cozy corners and sink into fancy, well-worn antique chairs to sip and flip pages. They also sell cheeseboards and other nibbles alongside thousands of new and used books. Oh, and it’s dog-friendly! This bookstore is your ticket to rare books, including first editions, signed copies, and books in old-school, fine leather bindings that you’ll want to proudly display on your desk. The small space crams in an impressive number of collectibles and quality secondhand books in its library-like interior. Doubling as a fine arts gallery, Downtown Books & News has the city’s largest selection of newspapers alongside a sizable variety of American and European magazines. The owners love to hunt down out-of-print and other rare titles as part of their inventory of 25,000+ hand-selected books. It’s also the sister store to the city’s most famous bookstore, Malaprop’s. Located in hip West Asheville, Firestorm hosts authors and readings, live music, activist presentations, and film screenings that support their anti-oppression and sober space agenda. The community space-slash-bookstore is worker-owned, serves vegan goods, and aims to provide “a hub for anarchist thought and culture” according to their mission statement. 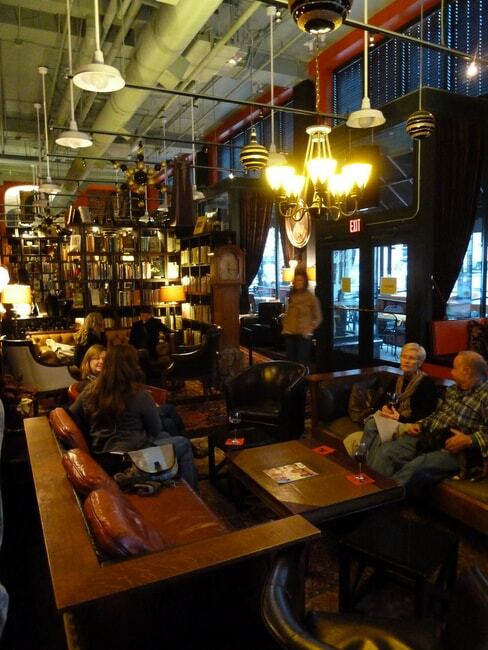 Malaprop’s is the go-to stop in Asheville for authors hitting the literary circuit. They’ve hosted the likes of John Grisham, Elizabeth Gilbert, and John Green, as well as local author Sara Gruen, the bestselling author of Water for Elephants. They also host several book clubs and discussion groups and Wednesday storytime hours for kids. The well-organized space includes a small café area and books divided into staff picks, regional authors, bestsellers, and banned selections. NBD…just @sarahaddisonallen stopping in to sign a few books 😉….get 'em while the ink's fresh!! Entertainment options abound at Mr. K’s, which gives store credit for used books, comic books, movies, CDs, vinyl records, and video games. The result is a wide selection of goods that you can spend hours perusing. With four locations in the South, Mr. K’s has become a hot spot for folks who want quality entertainment at low prices. Last but not least, head to Spellbound if you’re seeking out new books for young adults, kids, or babies. They focus on partnering with local schools through book drives, book fairs, and organizing author visits to area schools. Be sure to say hi to Hugo, the bookshop dog, when you visit this bright, welcoming space with helpful staff ready to make recommendations.